Did anyone else sense a little passive aggressive tone coming from a certain someone in last weeks TWD post? I will have you know that I was a busy girl last week, not to mention the fact that I had already baked this weeks recipe for friends who were in town last weekend. I’m just saying. Anyways, on to the recipe. I was excited about this recipe for a few reasons. 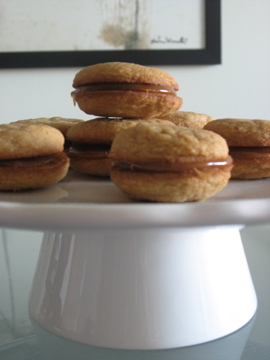 First, I love dulce de leche. Second, I have been meaning to try the President’s Choice dulce de Leche but have always felt some strange guilt about buying it since I could technically make it myself. 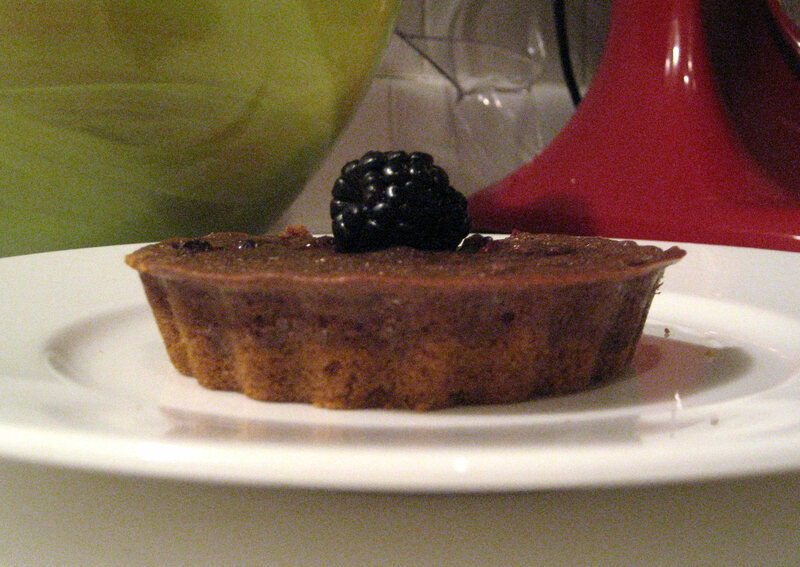 But since even Dorie herself suggests using the store-bought variety, I thought it was a good reason to give it a try! 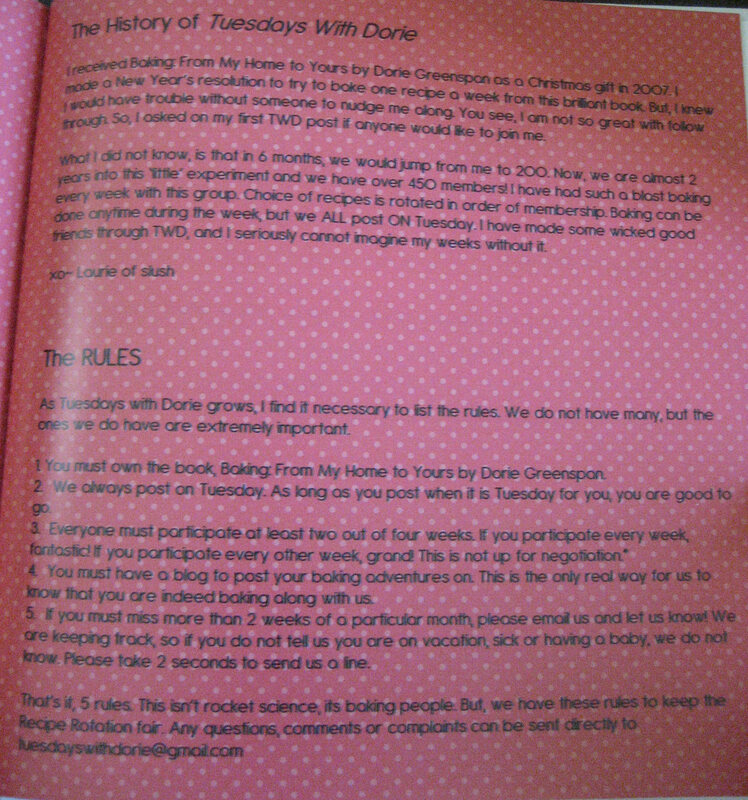 Thanks to Jodie of Beansy Loves Cake for choosing this weeks recipe. It can be found on page 161 of BFMHTY. 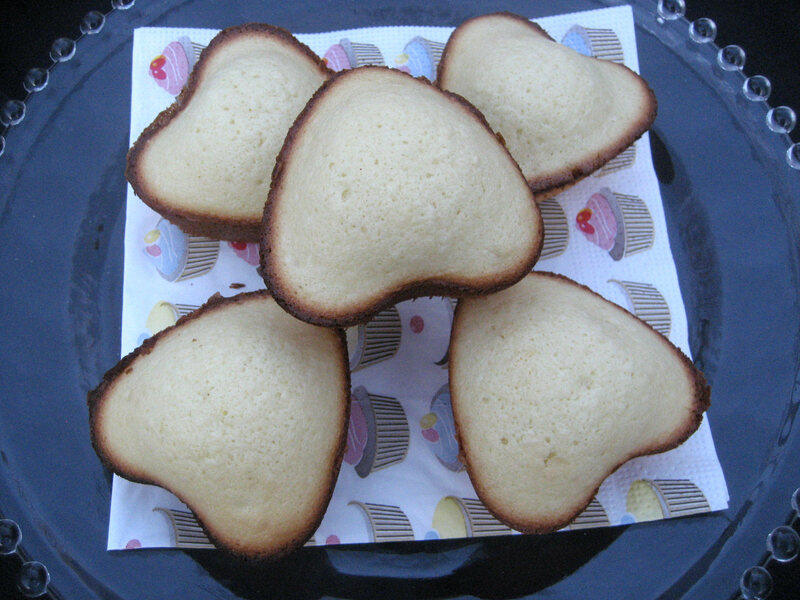 I usually stick to my favourite banana muffin recipe; however, I had some leftover buttermilk from my Valentine’s Day cupcakes, so I went searching for a new recipe to try out! Caroline mentioned something about us trying to post a few more “healthy” recipes on the blog, so I figured I might as well make a healthy banana muffin:) Not to mention, the bf just today requested a healthy snack he could take to work with him. Finding food to take to work in the pharmacy is a little tricky, especially when most food is eaten while you are standing up! So little snacks throughout the day tend to be important! As previously mentioned, I don’t like adding nuts to most muffin recipe but since the bf enjoys walnuts, I made a few sans nuts for myself, and then added nuts to the remainder of the muffins. 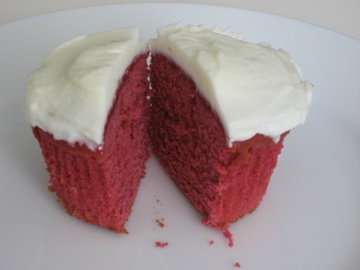 I found this recipe at She Bakes and She Cooks and it looked quite good! 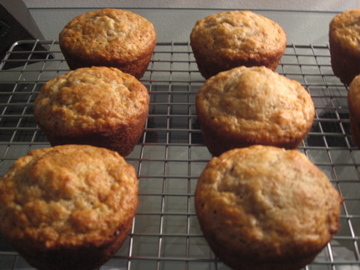 Although I love my other banana muffin recipe, I think these were very yummy and make a slightly healthier alternative. I will definitely make these again. As I previously mentioned, I had a birthday party on the weekend. I took requests and my good friend Bindhu piped up with banoffee pie request. Now, BZ’s would tell you that she has been asking for this for years, so I guess it was about time that I made it for her. 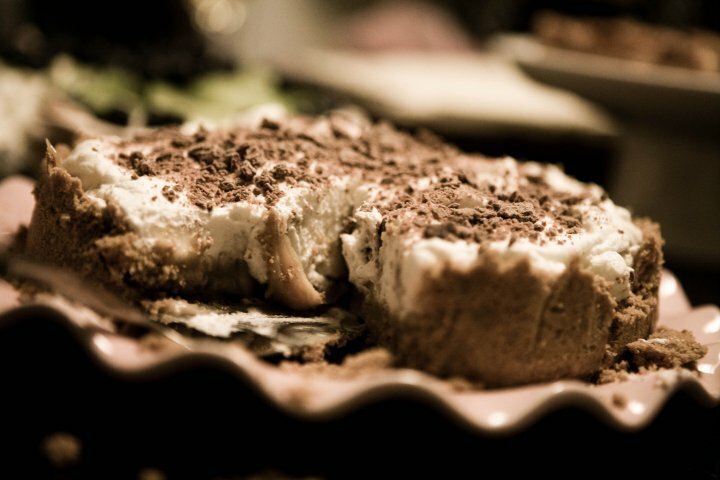 The banoffee pie (from now on to be called BP) was the surprise hit of the evening. It was the only dessert on the table that was eaten in it’s entirety, in fact I didn’t even get a piece. S. was kind enough to give me a bite of his so I can at least report that it was a tasty treat. Now those of you who are regulars around here know that there is no way that I took this picture. 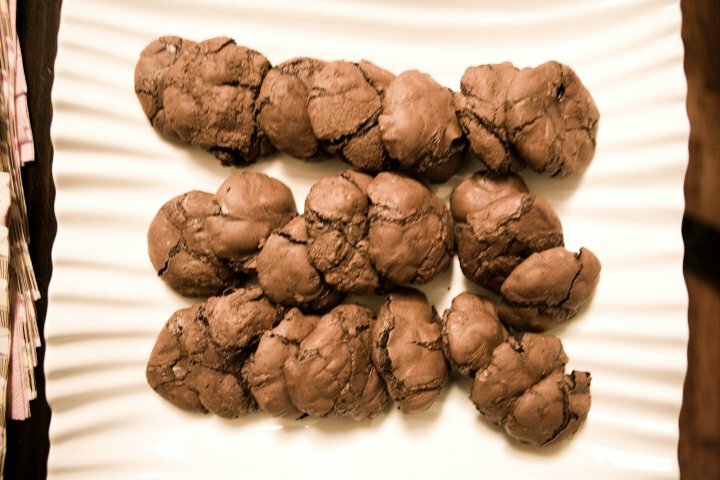 My friend Robin is a great photographer and she snapped some photos of my baked goods for the blog. I should get her to take all my photos, she rocks. Doesn’t my BP look seductive? It’s daring you to try some. Thanks RB! I followed Curtis Stone’s BP recipe, sorta. 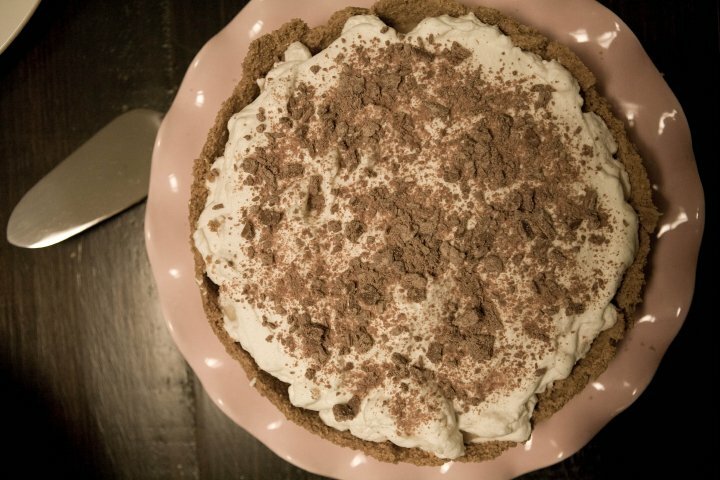 I layered bananas over the bottom of the pie crust and then I poured all of the toffee over the bananas. I added a couple of tbsps or so of sugar to the whipping cream to sweeten it up. I then took one of my favorite chocolate bars, a Cadbury Twirl and crumbled it on top. You should go make this, it’s a keeper. I had a birthday party this past weekend. It was a 30th birthday do-over (three years later) that was awesome. 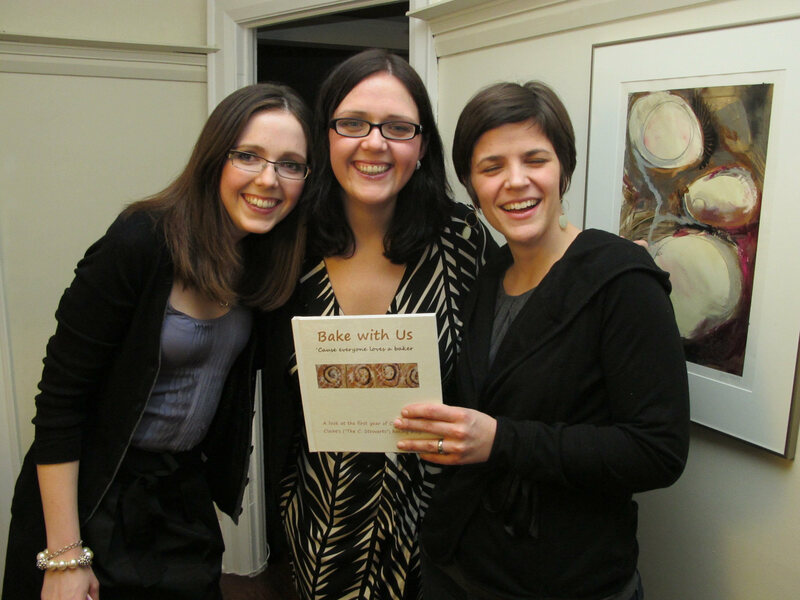 About 30 friends and family gathered to drink wine and of course, eat baked goods. In attendance were friends from elementary school, high school, undergrad, grad school and work, all under one roof; it was beyond fun. The reason I bring this up is that at the party my friend Rachel gave me the coolest gift ever. 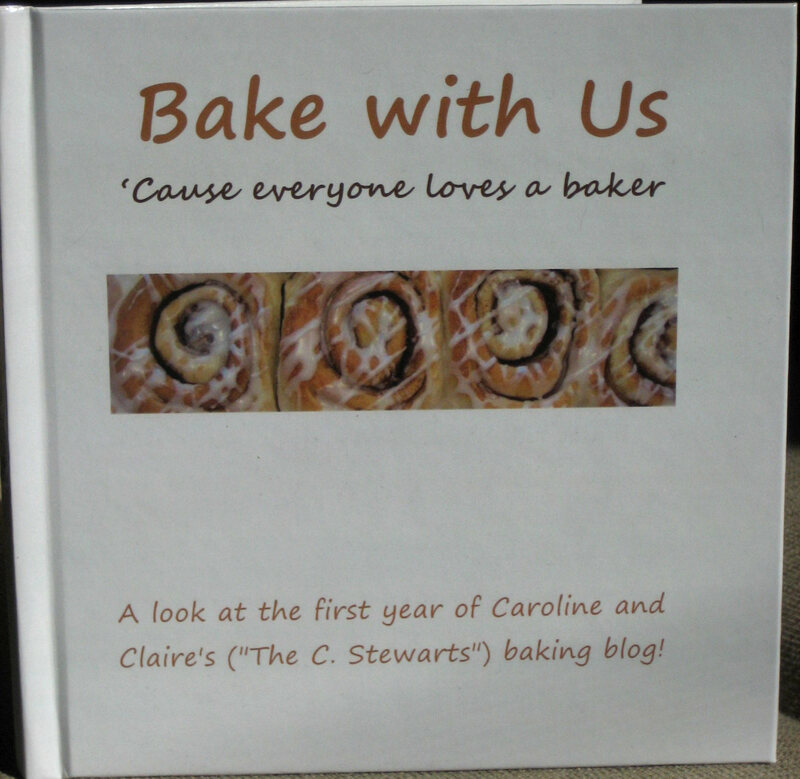 She made me a scrapbook of the first year of our blog, Bake with Us in PRINT, how cool! 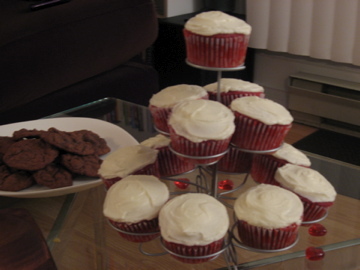 Rachel selected a variety of posts including our first TWD (which was a disaster, but memorable), baking with my niece, recipes made to impress suitors, family recipes, Christmas recipes and celebratory ones. It was amazing! Rachel is a creative and thoughtful friend and I was touched by the care she took in creating me such a special birthday gift. Thanks Rachel! It took us five tries to get this photo, there was lots of laughter, shakiness, closed eyes and guffaws in the making of this photo. No baked goods were harmed.